How to have a smooth ride building your home. Now that you’ve been through the process of tendering, choosing your builder, choosing your floor plan, and the contract is signed it’s time to move on to the exciting part – building your new home! While building your own home is an exciting process, for some it can be a time of anxiety and stress and in most instances this is due to poor communication. Communication is your greatest tool when working on a project of this size. After having been through quite a process already to get to the build stage, you should be well on the way to having a good working relationship with your builder, and their team. Maintaining open communication throughout the process of building your home is imperative to getting quality results on time, and retaining your sanity. Your chosen builder will allocate a supervisor for your home construction. This will be someone in their team that they trust implicitly and that they have trained for this position. Get to know your supervisor — they are the ones who will keep you up to date with your build. The supervisor will coordinate all of the different trades people needed to complete your home, and they will also be in charge of making sure that the work is carried out to schedule and to the right standards. The supervisor will also be the person who will contact you to let you know how things are going, and to discuss any issues with you. Obviously, unpredictable things like bad weather will disrupt all building jobs, however it’s still important that you are kept aware of progress. Your supervisor should ideally be in touch with you every week. Make sure your important discussions with the supervisor and your builder are documented, even if it is just following up with a short email — especially if you have asked for a variation. Any alterations to the selections or inclusions while your house is in construction will be classed as a ‘variation’, so it’s a good idea to discuss what you want or don’t want to include before you sign the tender & contracts. This is your dream home though, and on occasion things can change. Be sure to discuss this with your supervisor instead of having something niggling at you throughout the whole build as it could leave you feeling disappointed at the end of the process. For us, we find this rarely occurs as our clients get inclusions as standard that most other builders call ‘extras’. Every builder charges for a construction variation as everything has been ordered from supplier according to the signed selections and tender. Make sure you know what this cost may be if you choose to make any variations, no matter how small. Before the builder carries out any variations, you should make sure your request is properly documented and signed off. You don’t want to pay for a variation and then be looking at the wrong colour tiles for the rest of your life. Be sure that each stage of the project is completed before signing off on the relevant progress payment. If you become concerned about anything or feel that there is a problem with your build, talk to the supervisor as soon as possible, on site. It’s better to get things sorted out sooner rather than later. By far the most important thing is to let the builder get on with the job, as planned. Building a house is both exciting and stressful, and it can be hard to be patient when all you want is to move in! Naturally, any unavoidable delays caused by things like bad weather or a supplier problem can be frustrating, but they are as frustrating for the builder as they are for you. If you trust your builder, and the team they have put together, you can trust that they are as keen to get the build finished as you are. 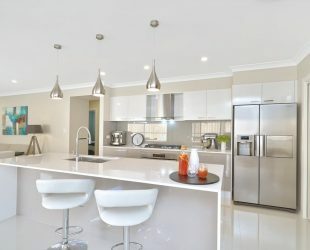 Homelife.com.au has a great article – How to work with builders that has some top tips on various aspects of working with a builder, such as possible variations in your home insurance during the build, contracts, and more. 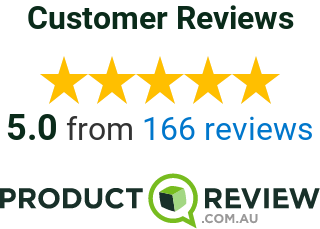 At Better Built Homes we specialise in building the homes of superior quality and workmanship for families throughout Western Sydney. With a goal of exceeding our clients’ expectations every time, through teamwork and communication, we are confident we can do the same for you. If you are ready to escape the grind, or upgrade into a contemporary home in Western Sydney, get in touch by calling us on 1300 100 922 for a no obligation consultation, or by using our contact form and we’ll get the ball rolling.